Wedge Sneakers Just $26.99! Down From $60! Shipped! You are here: Home / Great Deals / Wedge Sneakers Just $26.99! Down From $60! Shipped! This deal expires on December 10! Jane is now offering these Wedge Sneakers for just $26.99 down from $59.99 PLUS FREE shipping! Make these loafer platform wedge sneakers your new go-to comfy style! 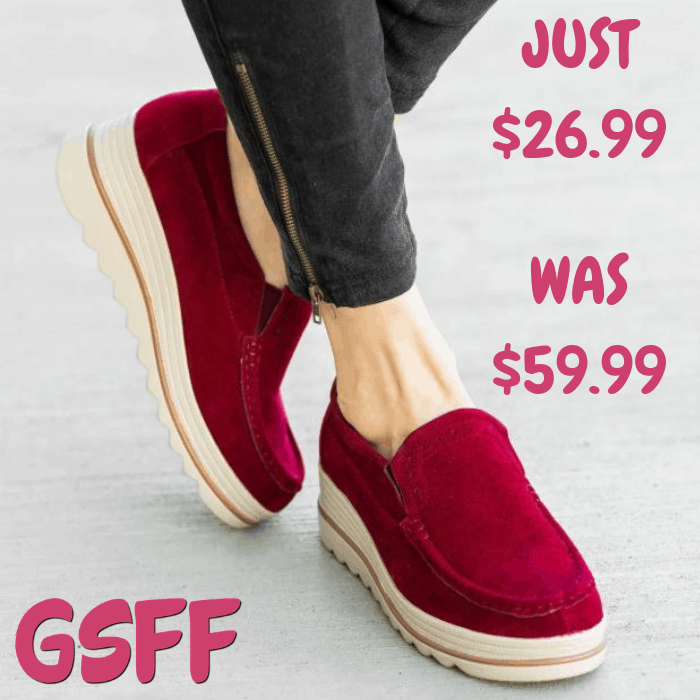 They are made of soft faux suede material and feature a slip-on style, cushioned insoles, closed toe, and approx. a 2.25″ platform wedge. Get a casual but classy look in a denim distressed skinny jeans and a button-down top.